Polytetrafluoroethylene (PTFE) is a Fluorocarbon based polymer, has emerged as the most common thermoplastic gasket and valve seat material. PTFE is highly resistant to chemicals, solvents, caustics and acids, make it ideal for many aggressive chemical applications. 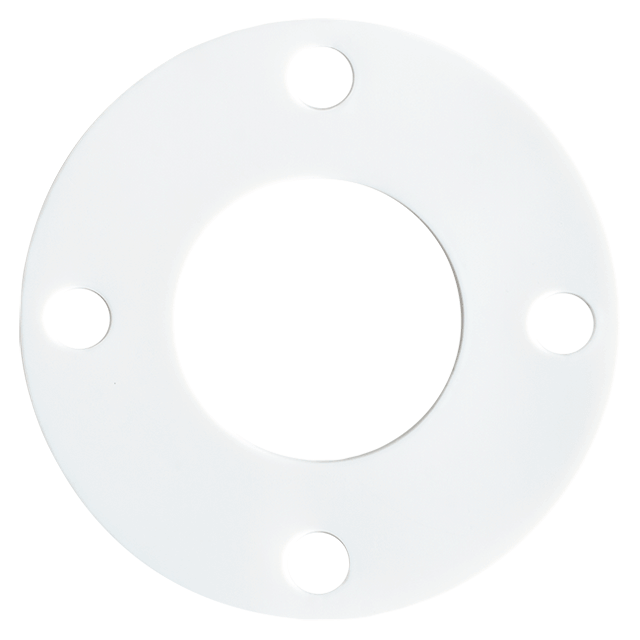 At Masterpac, PTFE can be supplied in a variety of forms; either as sheet, cut gasket, joint sealant, rod & tube or as a valve seat. At Masterpac, we only utilize virgin PTFE sheet several thicknesses for making our gasket. Virgin PTFE’s outstanding properties include resistance to temperature extremes from cryogenic to 260°C. PTFE is highly resistant to almost every aggressive chemicals, has a very low surface energy and does not adhere to the flanges. Joint Sealant is a sealing solution for steel flanges with large diameters, rectangular or irregular shapes, and rough or pitted surfaces. When compressed, this soft, conformable cord forms a thin yet strong seal. It can also seal applications where available bolt loads are low. Joint Sealant is standard sealing material for many MRO (Maintenance, Repair and Operations) teams because it seals reliably – and because it’s easy and cost-effective to install. For most applications, just peel off the adhesive backing, apply to the surface, and overlap the ends. PTFE has advanced properties making it an ideal choice of material for a wide range of applications. Our PTFE rod and tube are available ranging from virgin PTFE, 25% glass filled PTFE, carbon graphite filled PTFE and so on.